Why does the State of Israel observe the Jewish national day of mourning called Tisha b’Av every year? Tisha b’Av is a Jewish fast day which has been commemorated annually on the 9th day of the Hebrew month of Av. for the last 2500 years. It commemorates the destruction of the two Jewish temples built in Jerusalem that . The first temple was destroyed in 423 BC by the Babylonians and the second temple was destroyed by the Romans in 70 Ad. Both events symbolized the end of Jewish sovereignty in those eras and both entailed the exile of the Jewish people exiled from their native land. Today happens to be Tisha B’Av, and while normally I commemorate this day outside of the modern State of Israel, this year I am fortunate to be spending it in Jerusalem, Israel. In fact, I can tell you that this is no minor fast, either in the diaspora or in Israel. In addition to a full day of fasting and prayer, many institutions sponsor talks and film screenings relevant to the theme of the destruction of the temple and the exile of the Jewish people in history. The question for me is why does the State of Israel and the Jewish people all over the world, continue to observe this National Day of Mourning, today, since we now have a sovereign Jewish state in the ancient land of Israel. One answer from the religious community, the community which regulates these religious rituals, is that although we now have political sovereignty, we have not yet achieved spiritual sovereignty in which all peoples respect each other and work together for the common good. This hope in the potential for a shared future of social goodness and peace – the future messianic times – as we all know, sadly, has not yet arrived. Our history tells us that the destruction and exiles of the Jewish people were caused not so much by the external forces but the internal divisions of the Jews of the time, that prevented a united front against the enemies. Although the State of Israel can lay claim to many incredible achievements of the last 70 years, our history warns us not to rest on our laurels but to be vigilant and eager to improve our social fabric and unity of the Jewish people under the Divine rules of Justice and Mercy prescribed for us in our Torah. In Jerusalem, on Tish b’A I participated in a film festival called “The Earth Trembles”: Contemporary Israeli films on contemporary social and political subjects were screened in the presence of the producers and actors. The strength of the Jewish people is in its capacity to remember, not to forget, and to learn from the past. This is the ongoing task of the study of Torah, our holy books, which are meant to teach us the path how to improve the world we live in, not only for ourselves, but for all mankind. Education for all, starting at birth, is a very large part of the Jewish endeavor. This is why it is hard to pull the wool over our eyes when others try to interpret our motives. 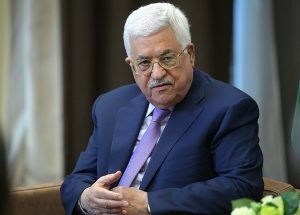 Palestinian Authority (PA) President Mahmoud Abbas’ speech, at the January 14 meeting of the PLO’s Central Council lasted two hours. Appealing to fashionable legal and moral fads, particularly in Western Europe, Abbas again set forth the supposedly problematic aspects of Zionism. His “historical survey” undoubtedly fails the minimum test of facts, but it is uncritically accepted in many circles. “By every historical account, the Zionist revolution – the incredible ingathering of the exiles and the establishment of the flourishing and highly successful state of Israel – is a unique and unprecedented phenomenon. Those who insist on viewing it as yet another immigration wave among the 20th century global population movements fail to grasp the real nature of this revolution. In this respect, Abbas touched the key issue that, in his eyes, made the Palestinians the main victim of Zionism: if the Jews yearn for a safe haven, and the international community wants to provide them with one, why does it have to be in Palestine, at the Palestinians’ expense? Of all the leaders of the Zionist movement, it was Israel’s founding father, David Ben-Gurion, who dealt most extensively with the kinds of claims made by Abbas. Below are several passages from Abbas’s address followed by statements by Ben-Gurion on the same topic. Ben-Gurion: “Our right to the Land of Israel does not stem from the Mandate and the Balfour Declaration. It precedes those. The Bible is our mandate… I can state in the name of the Jewish People: The Bible is our mandate, the Bible that was written by us in our Hebrew language, and in this land itself, is our mandate. Our historical right has existed since our beginnings as the Jewish People, and the Balfour Declaration and the Mandate recognize and confirm that right” (testimony to the Peel Royal Commission, January 1937, Bama’archa, vol. 1, pp. 77-78). “A homeland is not given as a gift and is not acquired by means of political rights and contracts. It is not purchased with gold and is not conquered by force, but is built with sweat. This homeland is a historical creation and a collective endeavor of a people, the fruit of its physical, spiritual, and moral labor down through the generations. … The Land of Israel will be ours not when the Turks, the English, or the next peace conference agrees to it, and it is undersigned in a diplomatic treaty – but when we, the Jews, build it. We will not attain the real, true, and lasting right to the land from others, but from our labor. For the Land of Israel to be ours, we must build it; the mission of our revival movement is the building of the land” (New York, September 1915, Mema’amad Le’am, p. 10). Ben-Gurion: “The Jewish religion is a national religion, and it encapsulates all the historical experiences of the People Israel from its inception to the present; hence it is not easy to distinguish between the national side and the religious side” (Kochavim Ve’afar, p. 128). “Zionism is a faithful striving for the eternity of Israel, and in these years the eternity of Israel is embodied in the state of Israel and in the Book of Books” (Kochavim Ve’afar, p. 155). “Zionism – as the faith of the People Israel down through the generations – determined that the Land of Israel would solve the ‘question of the Jews’ in its entirety. Not a partial solution for a people, and not a solution for part of the people, but a full solution for an entire people. That is, for every Jew who needs and desires to live in the ancestral homeland… The People of Israel never believed in a duality of matter and spirit. Without the physical presence of the people in the land, its spiritual presence will not be built. The spiritual center of the Jewish People can exist only in the worldly center” (Speech to the 20th Zionist Congress, August 1937, Bama’archa, vol. 1, p. 238). “The state of Israel is the fruit of the vision of the Jewish People’s redemption down through the generations… and with the establishment of the state, the redemption vision was not realized. Because the overwhelming majority of the Jewish People are still dispersed among the nations, and the Jewish state is still not the fulfillment of the Jewish redemption, it is only the main tool and means to its redemption” (Kochavim Ve’afar, p. 92). Ben-Gurion: “From a Jewish standpoint Zionism is not just a flight from persecution and restrictive laws, but primarily love of a homeland and a vision of the rise of a nation-state. Our Zionism is composed of a national ideology, a feeling of love for the land, an aspiration to political independence. And of a desire and a need to settle in the Land of Israel. Take away from Zionism the hundreds-years-long love for the ancestral homeland, take away from Zionism the political aspiration to independence – and Zionism is emptied of its content” (Bama’archa, vol. 2, p. 48). “The definition of Zionism’s ‘ultimate goal’ is nothing but the full and complete redemption of the People Israel in its land, the ingathering of the exiles, national sovereignty” (February 1937, Bama’archa, vol. 1, p. 190). “What happened in the Land of Israel last year, what is happening every day to the Jews of Yemen, casts a cruel light on the chances for the ‘spiritual center’ of a Jewish minority in an Arab environment. But some of the champions of ‘the majority’ and the Jewish state, too, distort the true content of Zionism. A Jewish majority – is that indeed the goal? Let’s assume that there are a million Arabs in the country. Do a million-plus-one Jews constitute a solution for the question of the Jewish People? The realization of Zionism does not depend on the number of non-Jews in the country – but on the number of Jews who have the ability and the desire to settle there. It is not the number of non-Jews that is decisive – it is the desire and the need of the Jewish People and the capability of the country that is decisive, and this capability, too, is not predetermined but depends on the creative energies of the Jewish People” (February 1937, Bama’aracha, vol. 1, p. 158). I believe that this is why we continue to observe the fast of T’isha b’Av – because we have so much to learn from both the heroes and villains of the past, we cannot afford to discard any part of our multifaceted history as we move forward towards the Messianic era, which we believe depends not just on grace but on the concerted memory and efforts of each and everyone of us. This entry was posted in Blog, Israel, Judaism today and tagged askabigail productions Blog, Ben Gurion, Israel, Jewish Holidays, Mahmoud Abbas, settler colonialism, Tisha B'Av, Zionism by Abigail. Bookmark the permalink. I am a film producer and CEO of AskAbigail Productions. Currently working on a documentary about Yiddish since the Holocaust.